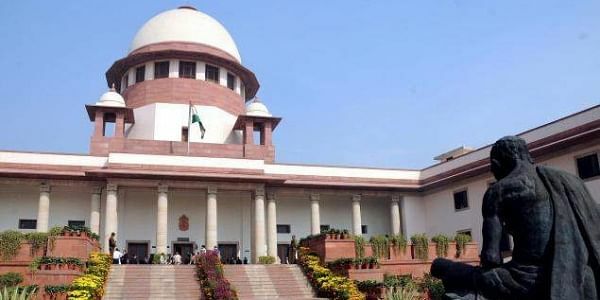 The Supreme Court on Monday stayed the National Green Tribunals order to direct the Vaishno Devi temple authorities to open a new approach road for use by pedestrians. NEW DELHI: The Supreme Court on Monday stayed the National Green Tribunals order to direct the Vaishno Devi temple authorities to open a new approach road for use by pedestrians and battery-operated vehicles from November 24. Issuing a notice, a bench of Justice Madan B. Lokur and Justice Deepak Gupta stayed the tribunal's November 13 order as the Shri Mata Vaishno Devi Shrine Board told the apex court that it was not possible to open the new road from November 24 since the construction work was on. Senior counsel Mukul Rohatgi told the bench that the new road, costing Rs 40 crore, would be opened in February 2018. The court was told that two existing paths to the holy shrine were already operational. By the said order, the green court had restricted the number of pilgrims visiting the shrine in Jammu and Kashmir to 50,000 per day to avoid any mishap. Directing the removal of mules/horses gradually from the old path to the shrine as well, the NGT had asked the Shrine Board to prepare a plan to replace the animals with battery-operated vehicles. The NGT had also asked the authorities to impose a fine of Rs 2,000 on anyone found littering roads as well as the bus stop in base camp Katra town. "Stop the pilgrims at Ardhkuwari or Katra if the total number exceeds 50,000," the NGT had said, observing that the Bhawan or the shrine would not be able to accommodate more than 50,000 people a day. Directing for the formation of a committee to check excessive traffic in Katra, the Tribunal had also asked the authorities to stop all construction activities around the Bhawan.